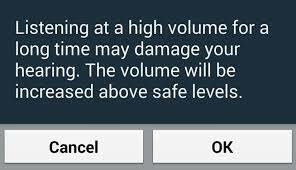 Do you ever ignore the ‘Listening to high volume can damage your ears’ warning before you turn up your music? I do, and believe me, it’s the worst thing to do. With maximum volume, I experienced two ear infections in one week, and temporary hearing loss was the cherry on top. However, I’ve often used earbuds to listen to music, and they easily make my ears ache! But which is more damaging to your ear? 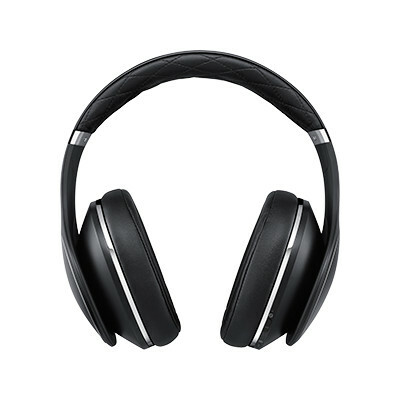 Headphones that cover your ears, or earbuds that go inside of your ear? Also, do they both have negative effects on your ears when used with maximum volume? The way we use our earbuds and headphones matter, especially since we are in control of how loud or soft our volume should be. Listening to music is great, but the louder your listening device is, the more likely people will face hearing damage, mild or severe. According to Dr. David Schessel, the higher the volume level, measured in decibels (dB), the stronger likelihood for hearing damage. Data from Schessel explained that a typical volume for earbud usage is 85 db. However, listening to music for more than eight hours with a higher volume is dangerous. So, which gadget leads to higher exposure of hearing loss? Let’s just say headphones and earbuds both have advantages and disadvantages. Here’s a juxtaposition between the two. Headphones are over the ear, like earmuffs. Meanwhile, earbuds go inside the ear. According to doctors, headphones are the better option compared to earbuds. Unlike headphones, earbuds easily travel through the ear canal and has a higher volume compared to regular headphones. According to HowStuffWorks, headphones and earphones have different sound qualities. While headphones have better sound quality, earbuds do not, which urges people to increase the volume of their devices. Therefore, people may be predisposed to hearing loss. Based on these facts, it can be concluded that earbuds are more likely to cause hearing damage than headphones. However, headphones still has the risk. Null hypothesis: Earbuds & headphones have no impact on the ears when used with maximum volume. Alternative hypothesis: Earbuds & headphones can damage your ears when used with maximum volume. Maximum volume is dangerous to the ear, simple as that. Headphones and earbuds with different sound qualities forces the listener to increase the decibel levels for satisfaction. However, the higher the decibel level, the higher risk and exposure to hearing impairments. Reverse causation can be ruled out, but we can also consider what type of electronic device is used during headphone and earbud usage. Different types of devices have different volume levels. For instance, according to James E. Foy, MP3 players have more than 120 db. So, what’s the best alternative? Headphones and earbuds are okay, but the best suggestion is to lower your volume down to prevent hearing loss. In other words, take the warning on your phone a little seriously. This entry was posted in Uncategorized on December 2, 2016 by Trae Vann Morgan-White. I think this is super important especially in a day wear everyone uses headphones regardless of purpose. How do certain headphone companies work towards this issue? Do you think the marketability would go up if they weren’t as harmful? I liked this blog post a lot. I listen to music every day on my headphones. I used to have earbuds for years, until I got a pear of Beats headphones. My ears used to hurt when I pulled out the earbuds after listening to music for a few hours at the gym. When headphones I don’t have any ear pain, and I think the quality of the music is much better. this article when scrolling caught my attention becauseI use both. When reading your blog i learned so much more and I really appreciate that your posted it! This is such a great post because i feel that the subject is relevant for almost everybody. Headphones are probably one of the most owned items in the world. Everyone has a phone, and they use headphones to listen to music; it’s as simple as that. Now i have noticed that every time i use headphones, I caution my self to not use such high volume for the sheer fact that my ears will be damaged. I always though that even with low volume, my ears will eventually pay the price, but it’s good to see that i will be safe as long as the volume is low. here is a great link about the effects of headphones! Im going to have to take this advice. I always play my music really loud in my headphones, yesterday I took out my earphones and the music coming out of them sounded like a speaker, thats how loud they were. After reading this Ill definitely lower my volume. This is wild. My mother always claimed that earbuds were so bad for you compared to headphones but I have never actually seen the support for her claim like you laid out. Good thing I use headphones! I really liked that you specified what the confounding variables (volume controls) were in this post, because that is something I personally have trouble picking out in articles I am reading myself. I think your post could have used a few more sources to back up the claims you made, but other than that it was a great read!